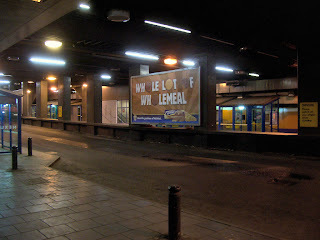 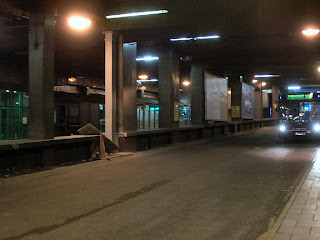 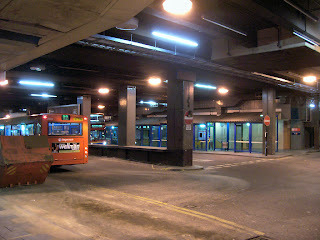 These photos are from the old Eldon Square bus concourse which closed in 2007 and was replaced by the new bus station which was built as part of the regeneration of the Eldon Square Shopping Centre. 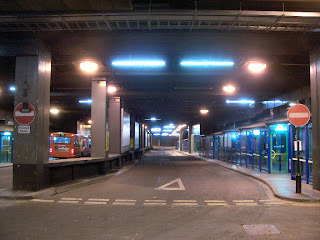 The concourse was a dark and dingy place not a pleasant place to stand and wait for a bus and it's demolition was long overdue. 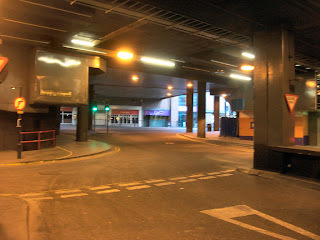 Apologies for the quality of the photos as it was so dark in there. 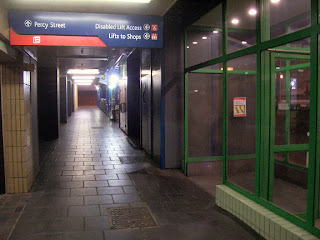 I used to love it down there. 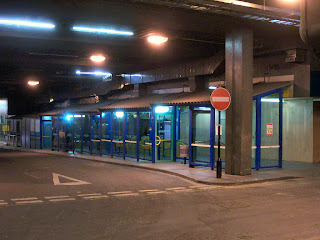 It reminded me of some dark dystopian "80's futurescape" that I could only catch glimpses of, sort of like a transport hub from Total Recall or some other 80's film. 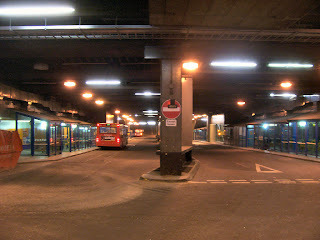 For some reason I always liked going into bainbridges from the bus station, at christmas they used to keep the decorations down there by the exit to the bus station. 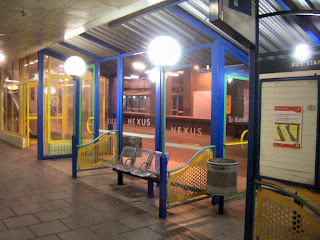 I loved that place even though I never got a bus from or to it! I guess regular users will be glad to see the back of it. 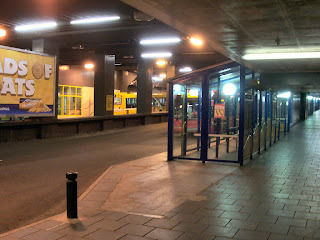 My overriding memory of the place is the smell of wee!